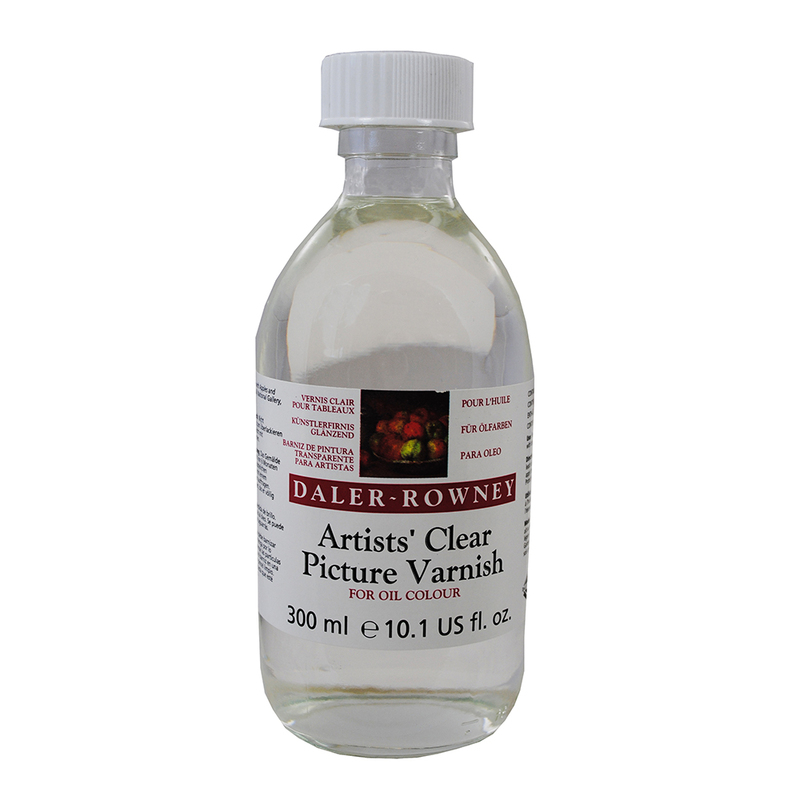 Daler Rowney's Clear Picture Varnish gives a clear, even finish and will not bloom or yellow. 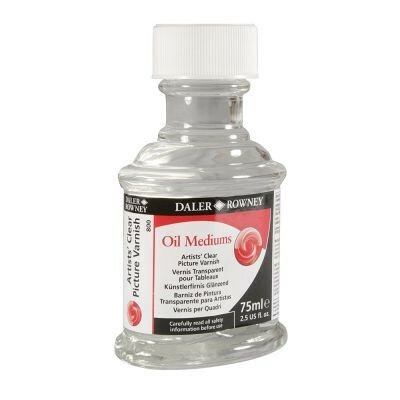 It can be used on both oil and acrylic paintings. 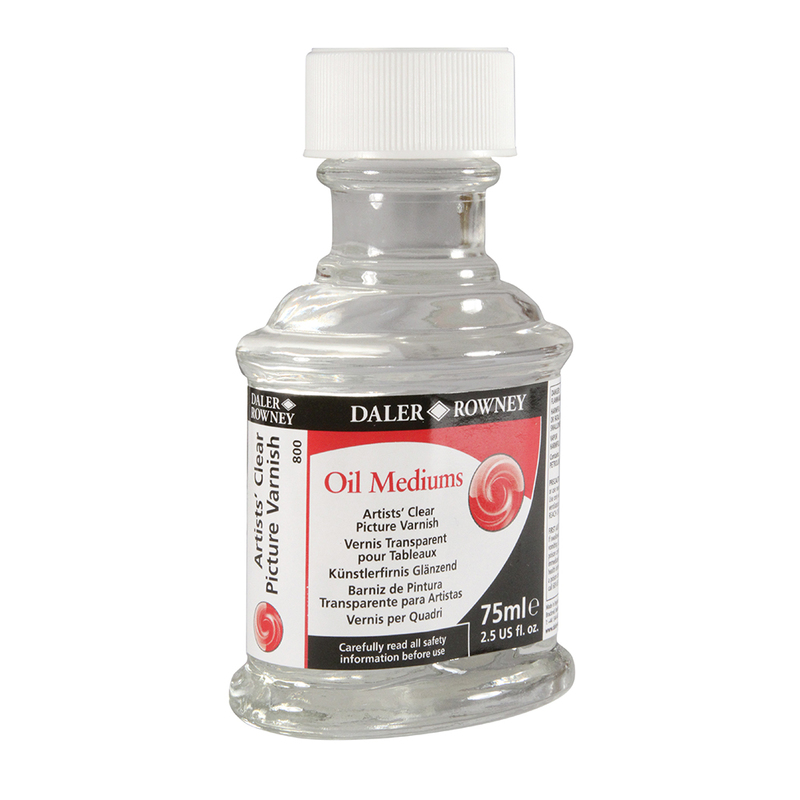 Now available in 75ml and 300ml bottles.